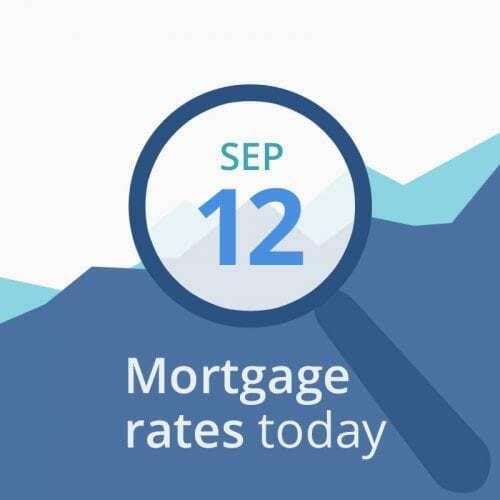 Average mortgage rates today have not moved much, although individual lenders have likely adjusted their pricing. August’s Producer Price Index, which analysts expected to rise by .2 percent, actually fell for the first time in 18 months, by .1 percent. The index tracks prices at the manufacturing level of the economy. However, the components that brought it down are known to be volatile (retail and transportation), so the report did not generate as much excitement as it could have. But it is good for mortgage rates. There will also be a Treasury auction of 10-year Notes. High demand could help rates, less demand could cause increases. The auction results will be available at 1 PM EDT and we will update you here. Today’s economic data are mostly favorable for interest rates, but rising oil prices are a major concern, at least offsetting all the other positive news. Today’s bond auction results, due at 1 PM EDT, may cause bigger changes. We will update this column when those results are available. Today’s bond auction could really move the needle. If you’re happy with the rate you can get this morning, you may want to lock. If you can afford to gamble, (and I would, because I expect the auction to receive decent demand from overseas), you could be rewarded with better rates this afternoon. Friday is probably the most important day this week — it brings three influential reports. But there are other important data coming this week (Wednesday and Thursday), so keep your eyes on this column and stay in contact with your loan advisor. For all reports except unemployment claims, if the actual numbers are higher than expected numbers, rates may suffer. If they come in lower, meaning a softer economy or less inflation, rates can drop. Tuesday: Treasury auction of 3-year Notes, which is less important because they are short-term, but can indicate demand for US debt. Higher demand is good, lower demand is bad.